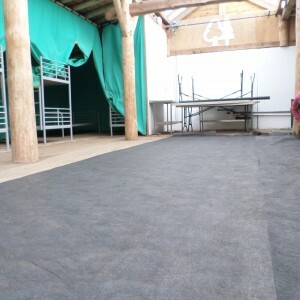 This installation took place at Biblins holiday camp in the Simmons Yat in the Wye Valley. 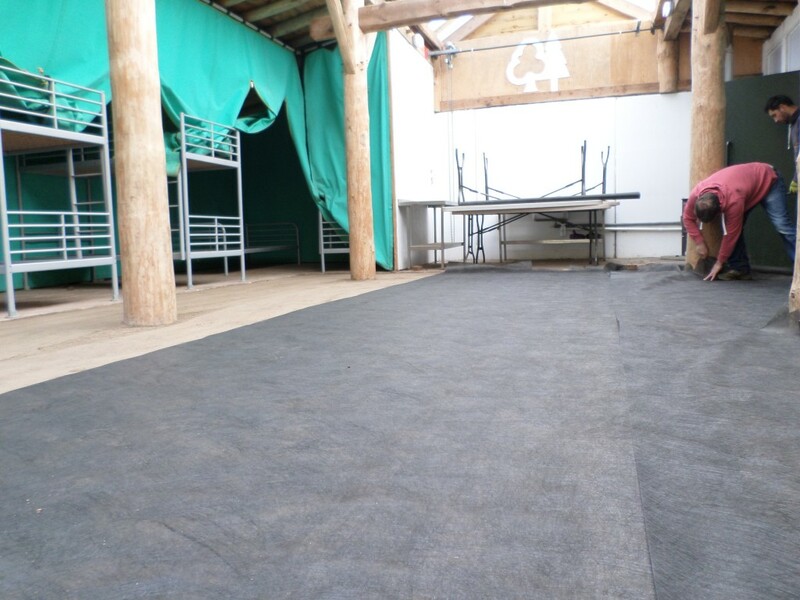 The existing rubber matts were uneven, becoming a trip hazard having never been installed correctly or maintained. 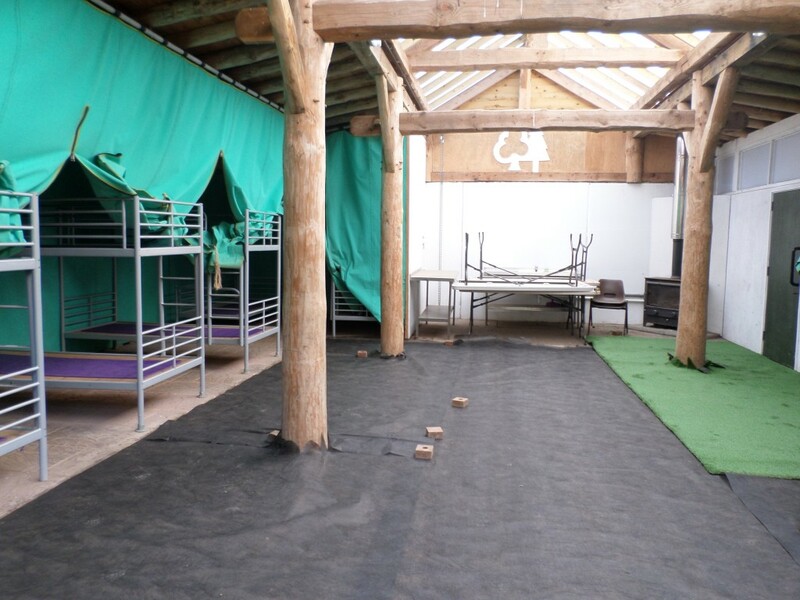 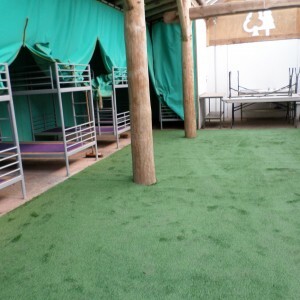 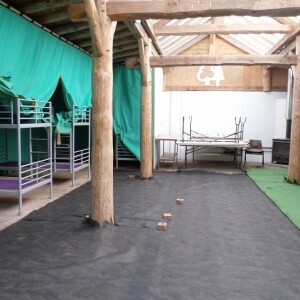 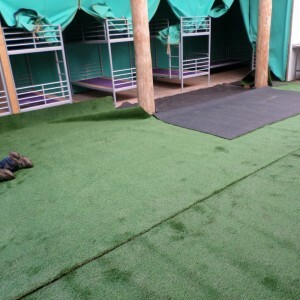 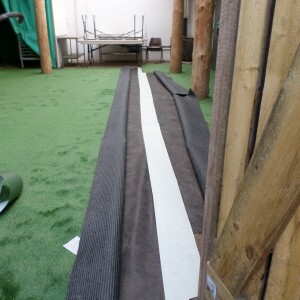 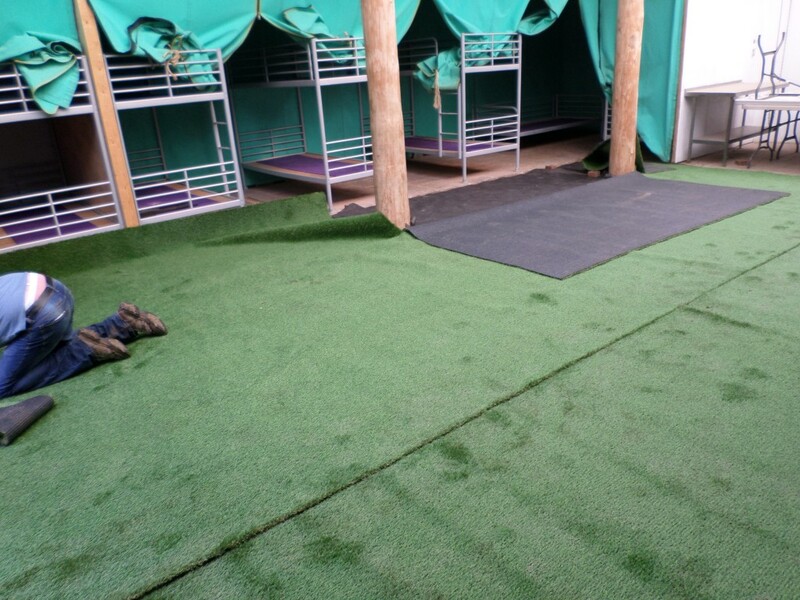 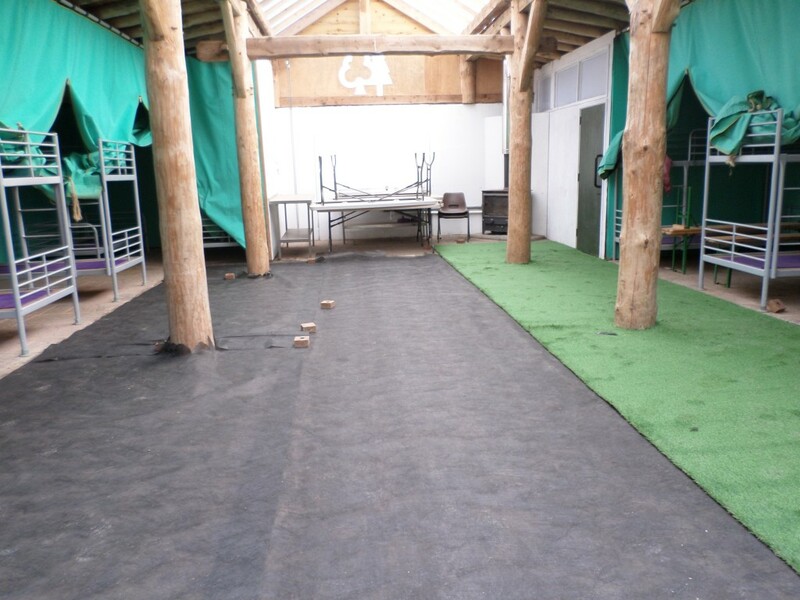 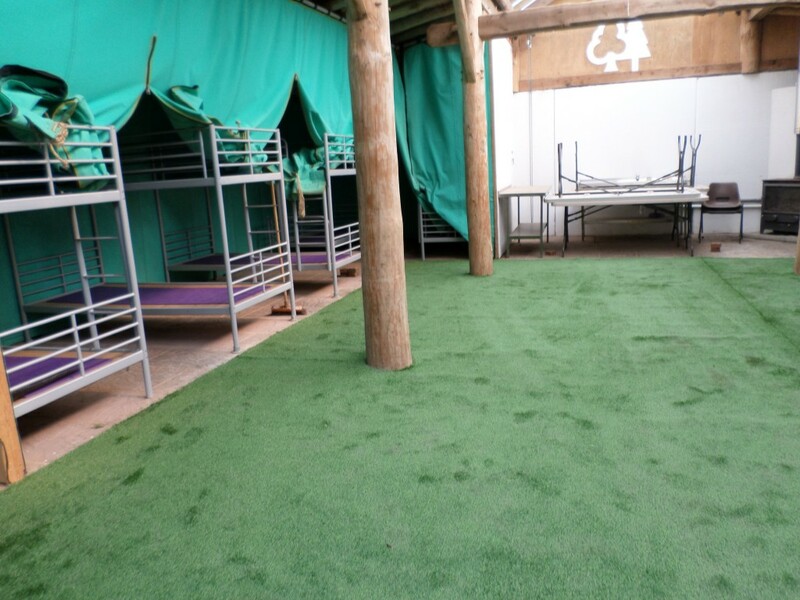 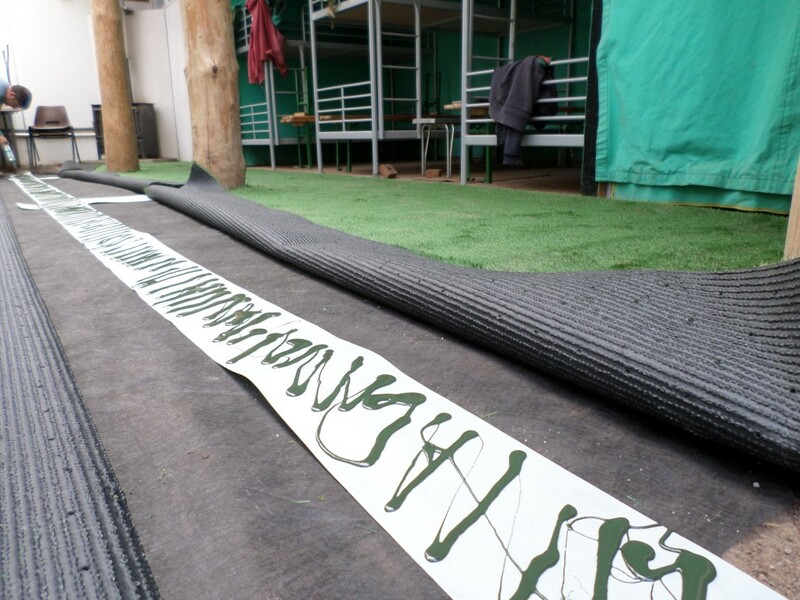 So the briefing was to give it a complete facelift and install a high quality Artificial Grass that would have durability and maintain its integrity due to the high footfall at this holiday camp. 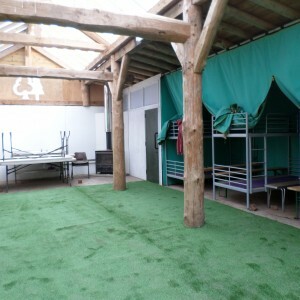 The room had a sliding roof and bunk beds but was also used for lectures and a canteen and the artificial grass was a perfect solution for their needs. 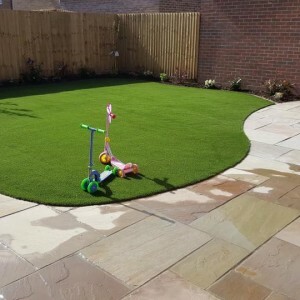 It was paramount that the proposed Artificial Grass sat on a suitable compacted sub base and this was stone using a stone dust product. 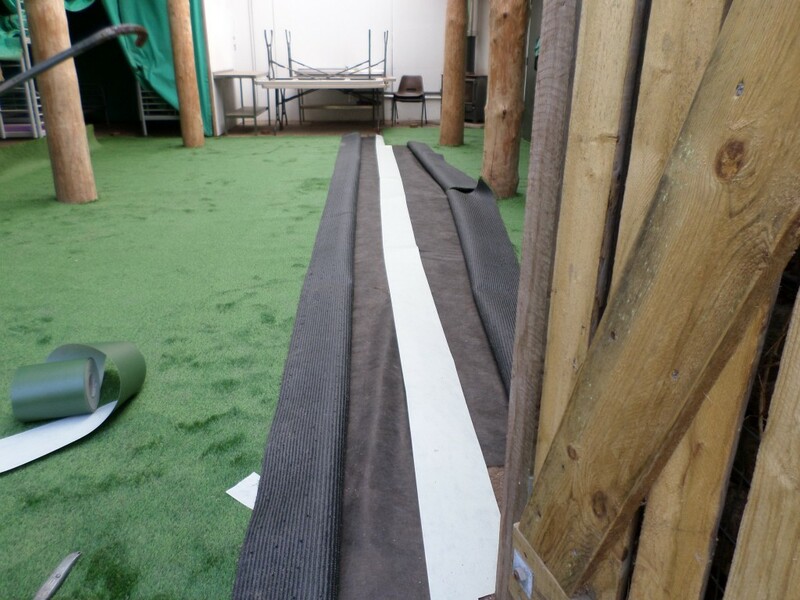 There was some sophisticated hand cutting of the grass around the wooden uprights to ensure the grass was fitted correctly. 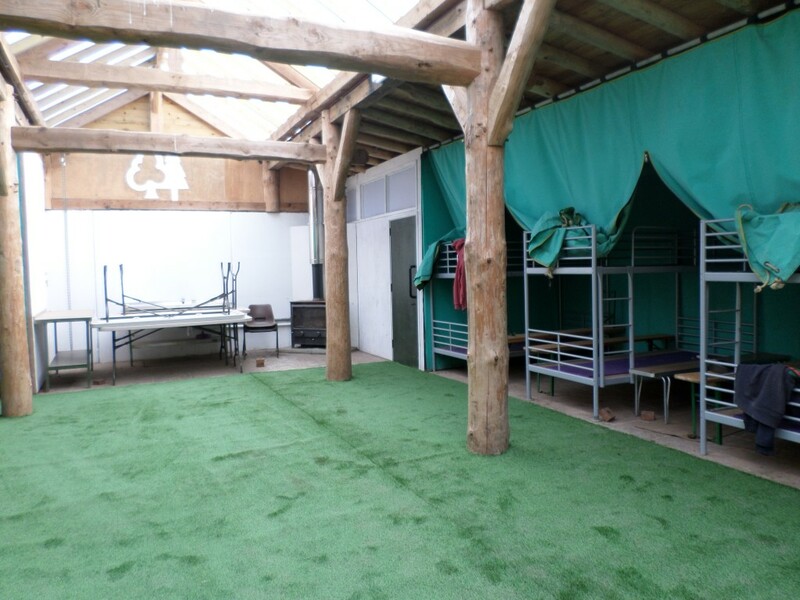 This project was a real case of the outdoors coming indoors creating a real camping atmosphere. 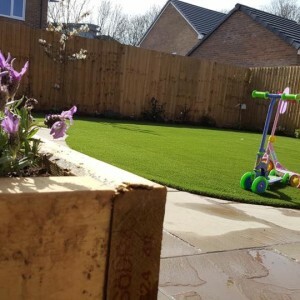 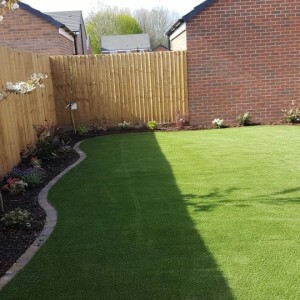 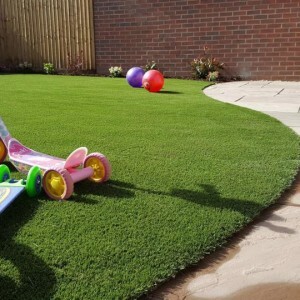 The Green Oasis range of Artificial Grass by Namgrass was chosen thanks to its innovative soft, light and darkly toned fibres which combine to give it that freshly laid lawn look. 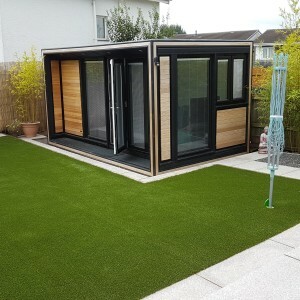 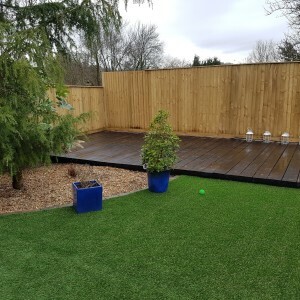 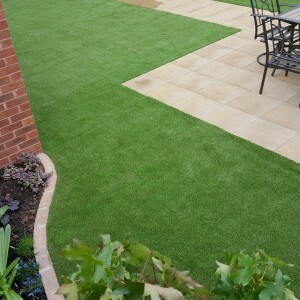 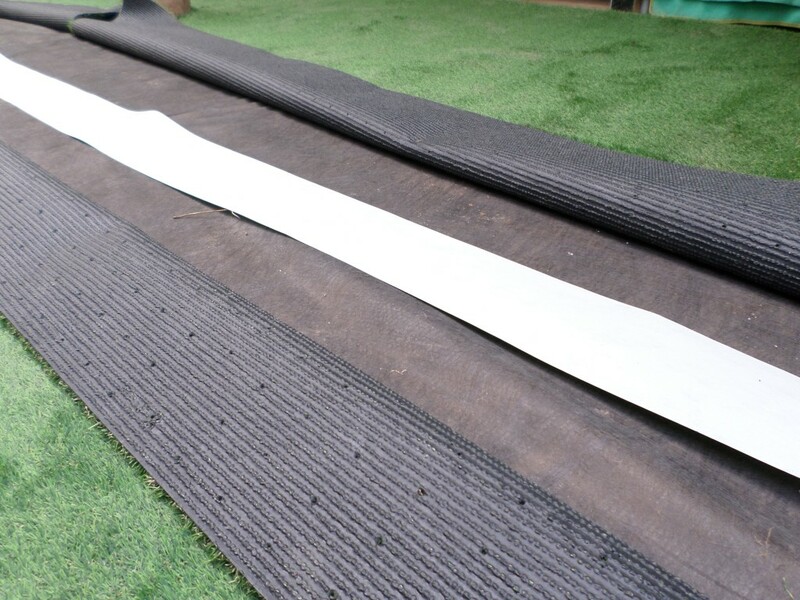 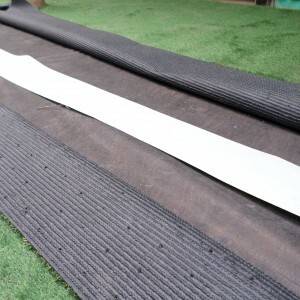 The Green Oasis Artificial Grass is a very popular range thanks to its durability making it ideal for all installations from homes to holiday camps and even schools! 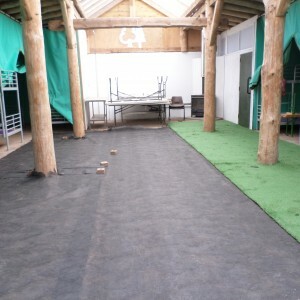 No Weeding! 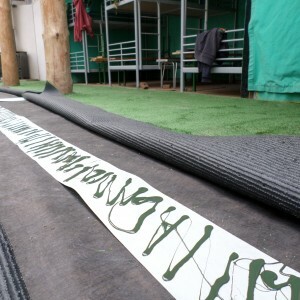 No Seeding! 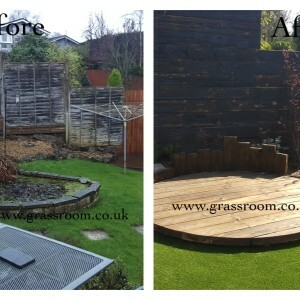 Maintenance Free!